Our March meeting will take place on Tuesday, March 21st. There are quite a few fun activities planned my quilty friends! This is a social swap, with the goal of getting to know one more person in our amazing guild! If you would like to participate, I'll be passing the signup sheet at Tuesday night's meeting. You'll be paired up with someone and in April will search them out at the meeting, spend a little time getting to know them and then make a Pixie Basket for them and fill it with goodies totaling no more than ten dollars. The baskets will be exchanged at the May meeting. If you want to be involved, but won't be at the March meeting, just send Nancy an email at finelydonequilting@comcast.net. It's all about show and tell this month! 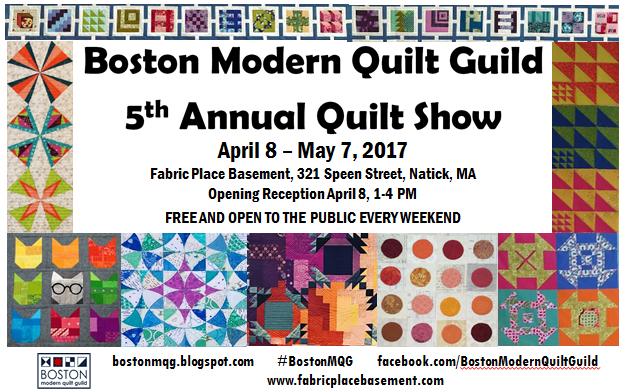 Please bring in one of your first quilts you ever made and one (or more!) of your last quilts made! 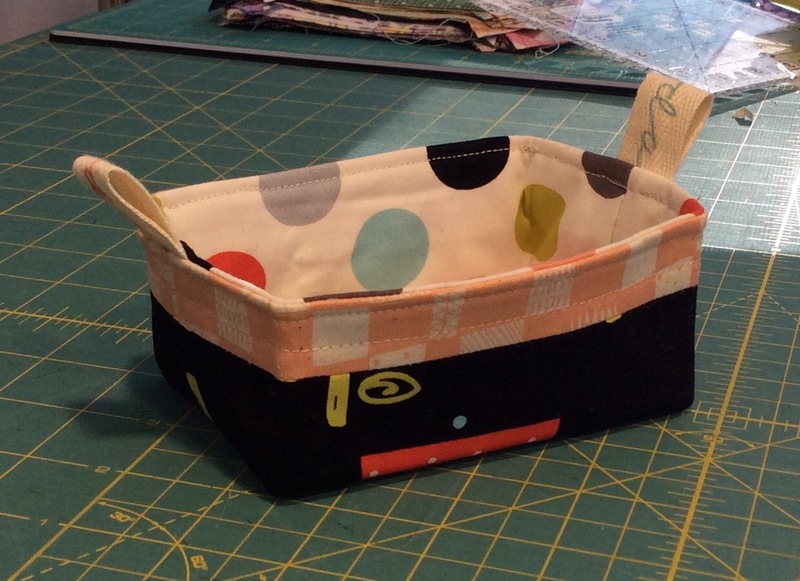 Be ready to share the story of how you got started quilting. What/who was your inspiration? How long ago was that? Were you always a "modern" quilter? Or when did you notice your tastes changing? We're really looking forward to the quilts and stories! Our charity committee has decided on the pattern for our next charity quilt that will be donated to the First Baptist Church and they will be passing out fabric packets this month. They would like the blocks back at our May meeting. There are still a few spaces left for our Heather Jones workshop. You can signup here. Alison has a survey about an upcoming event that she will be passing around on Tuesday night. Mark your date books quilters, Latifah Saafir is joining us on November 4th, 2017! Speaking of saving the date, Anna Marie Horner will be here for a workshop in April 2018. We're partnering with other guilds to bring this renowned quilter to the area and are excited to share more information. The First Baptist church is hosting a yard sale on April 1, and they have invited us to donate items and to come to the event! You can find more information on their website here. Our giveaway item will be a package of dream poly in craft size. We will have two raffle items! Raffle #1: Three half yards of "To Porto With Love". Raffle #2: Two half yards of Dear Stella with a matching half yard of Kona cotton.